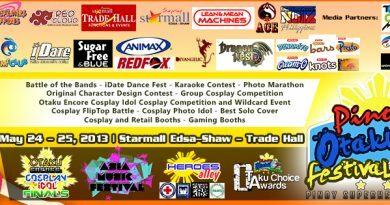 Anime Explosion Reborn returns on April 27 at Ever Manila Plaza in C.M. Recto, Manila. 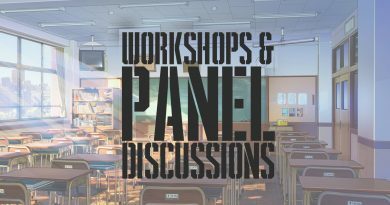 Like the previous event, it will focus on old school anime and well, some Tokusatsus too if they fall to those that belong in the 90s below era. 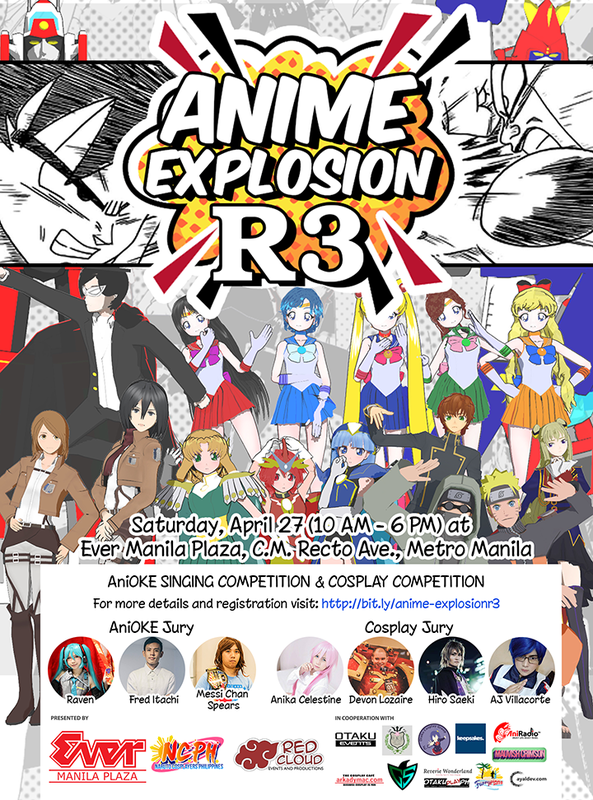 2016 – Anime Explosion Reborn happens on March 12, 2016. 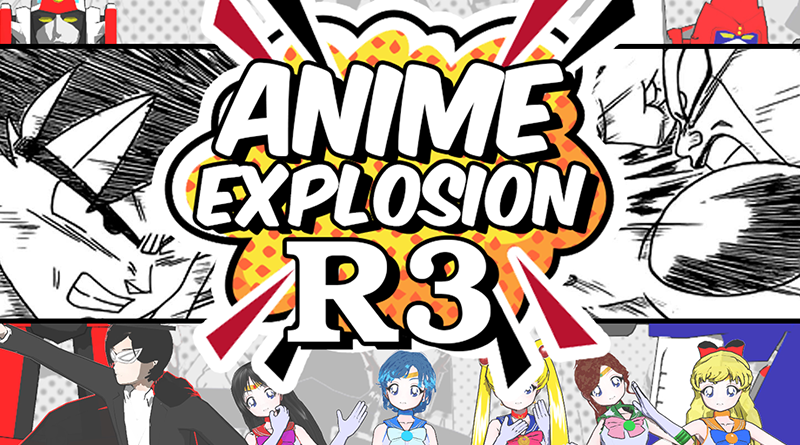 2019 – Anime Explosion R3 will feature both a cosplay competition and a singing contest. 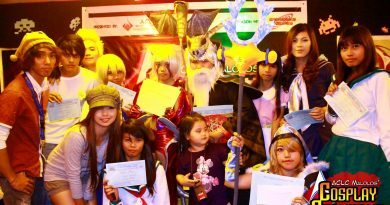 Come and join the event and experience the nostalgia all over again. Click GOING at the Facebook event page and have fun with us. This is a FREE EVENT. For those who want to REGISTER for the COMPETITION fill out the form below.